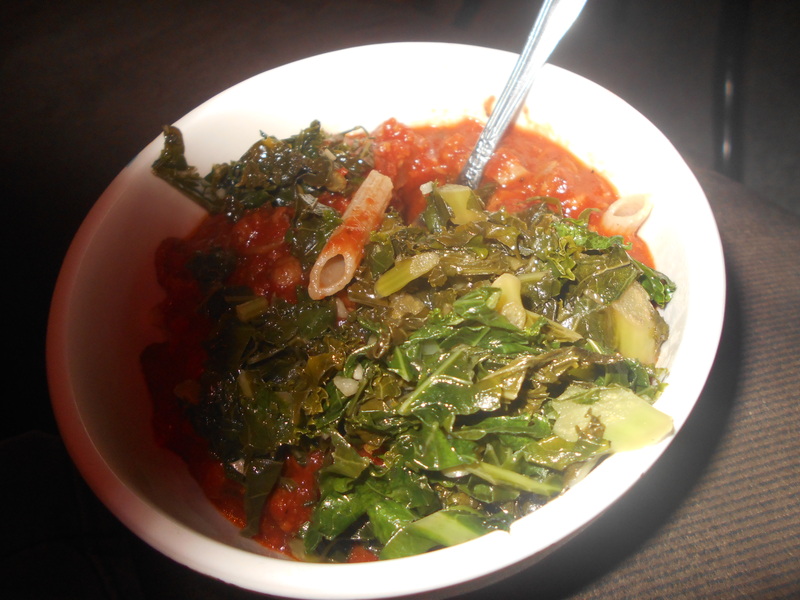 Whole wheat pasta, red sauce with soy crumbles, greens. 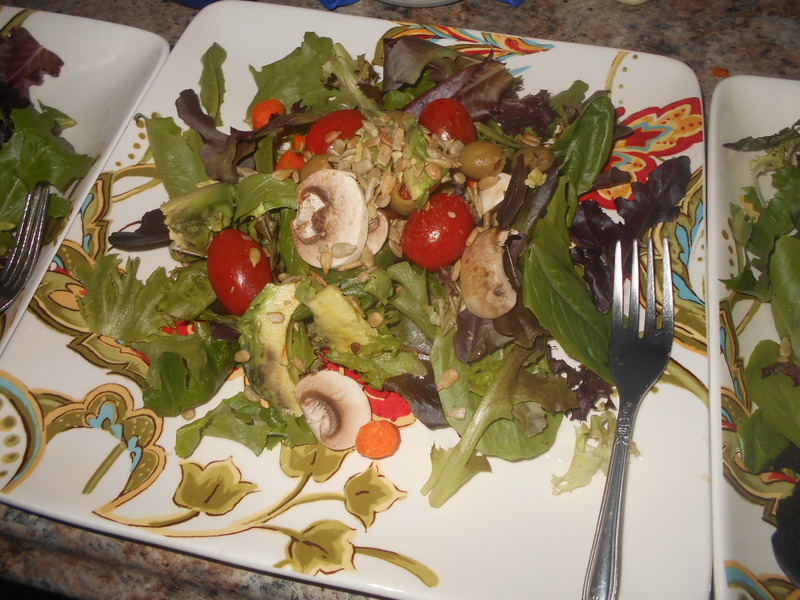 Greens, veggies, mushrooms, sunflower seeds, olives. 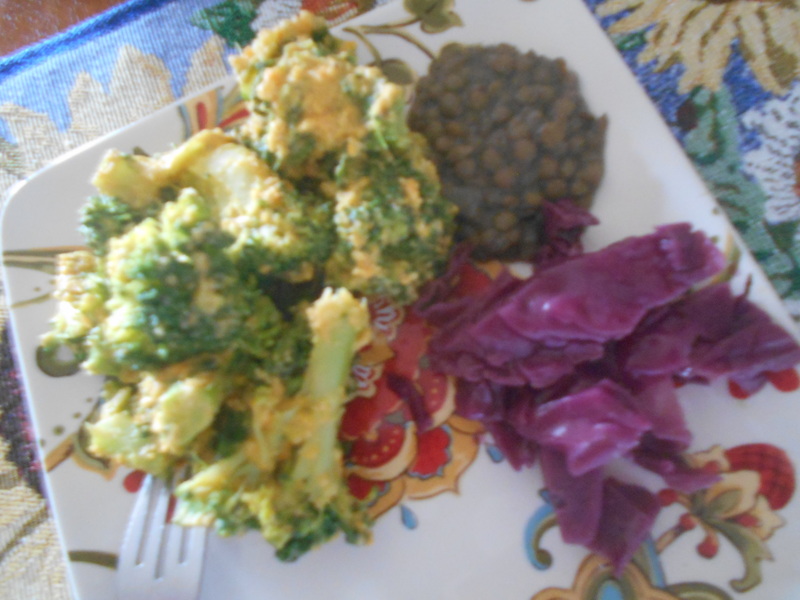 Massive helping of broccoli and vegan cheese, scoop of lentils, red cabbage. Adopting a vegan (plant based) diet not only has countless health benefits, it also greatly reduces an individuals carbon-footprint and saves hundreds of animals a year from being raised and slaughtered in factory farms. There are essentially 0 reasons not to be vegan except that we’re all addicted to our current lifestyles and the “food” that we put into our bodies. I’ll be the first to admit that I would miss cheese and eggs an awful lot if I were to pursue a vegan diet full-time. I’m part of the problem. 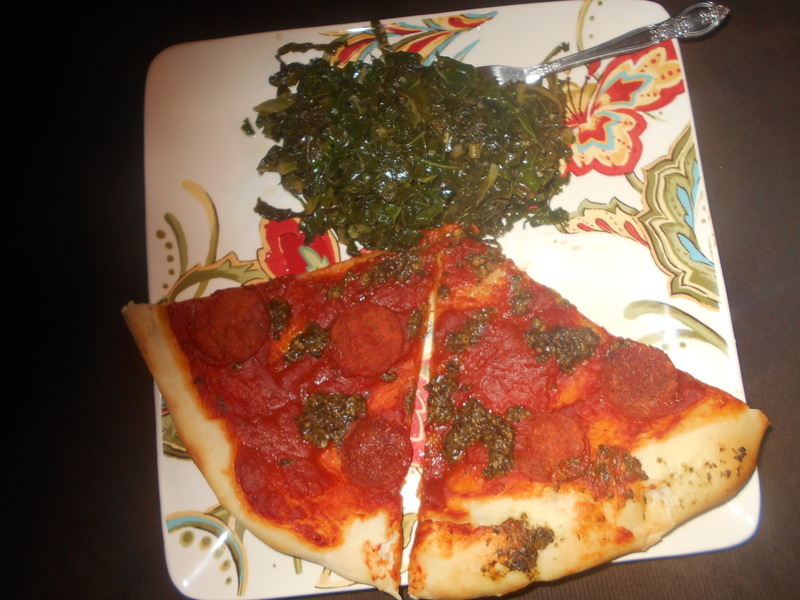 Soy pepperoni and pesto on pizza crust with kale on the side. 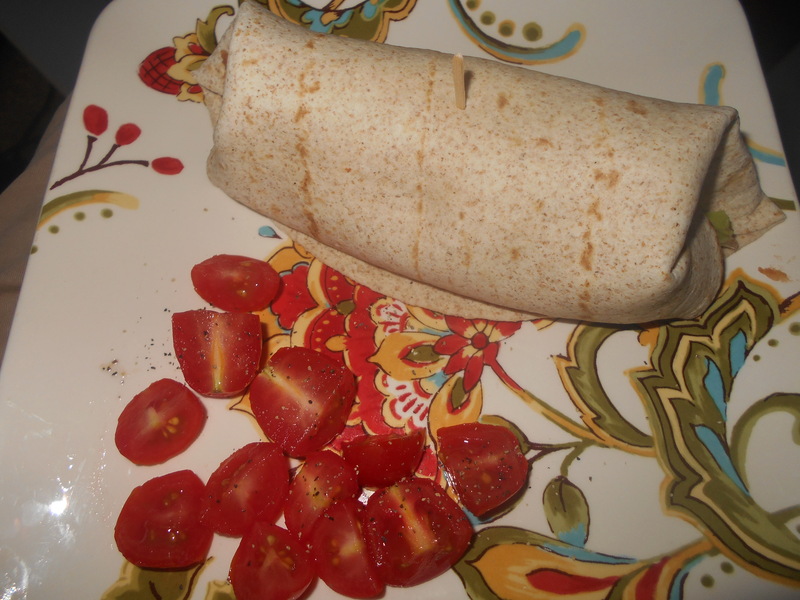 Bean burrito with black olives and a side of tomatoes to substitute salsa. 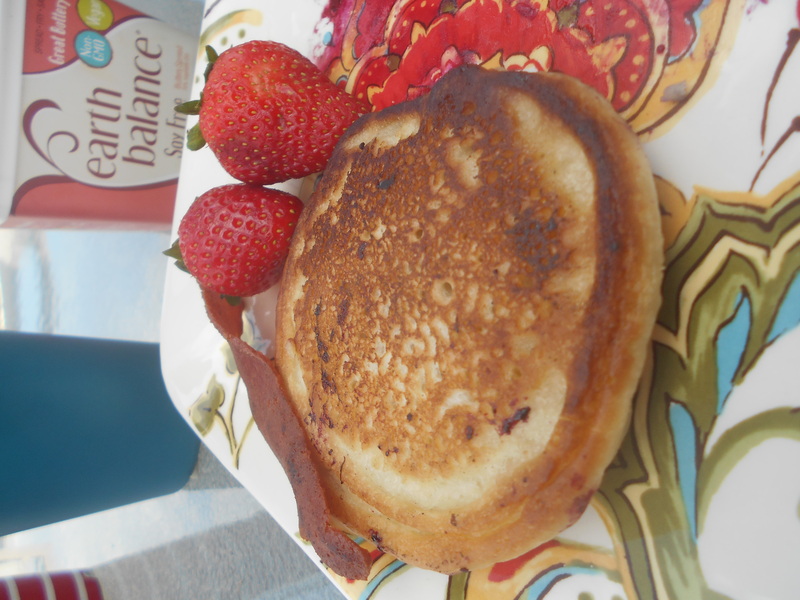 Blueberry pancakes made with almond milk and banana to substitute for eggs and cow milk. Strawberries and soy bacon. 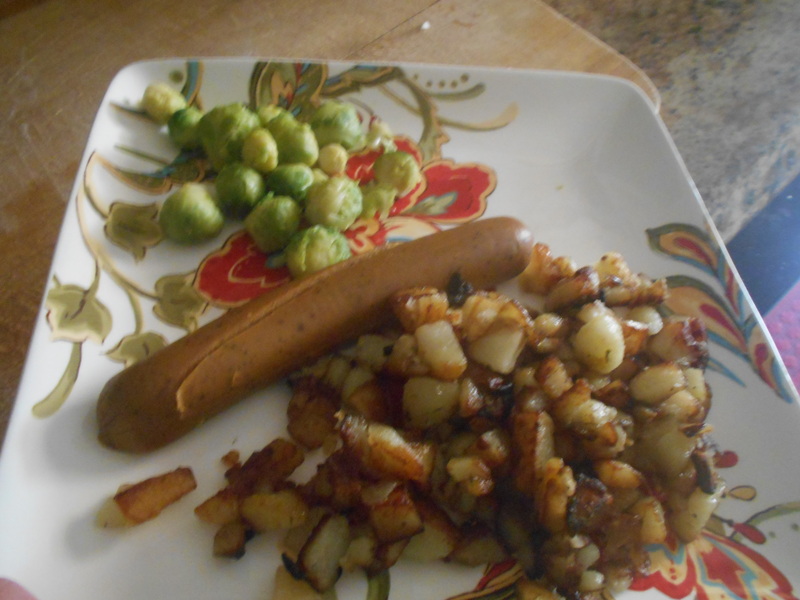 Home fries, brussel sprouts, fake sausage. 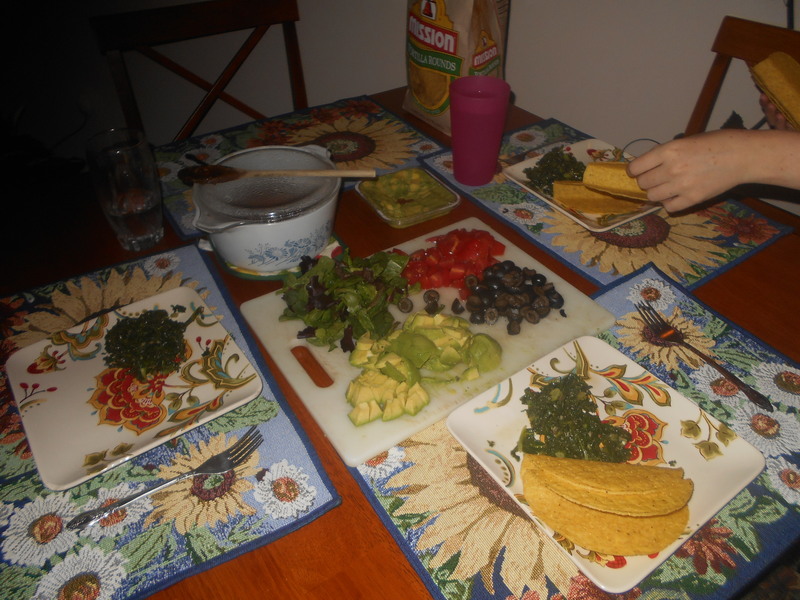 Taco night is almost the same, just with less dead cow flesh on the table. Tacos. 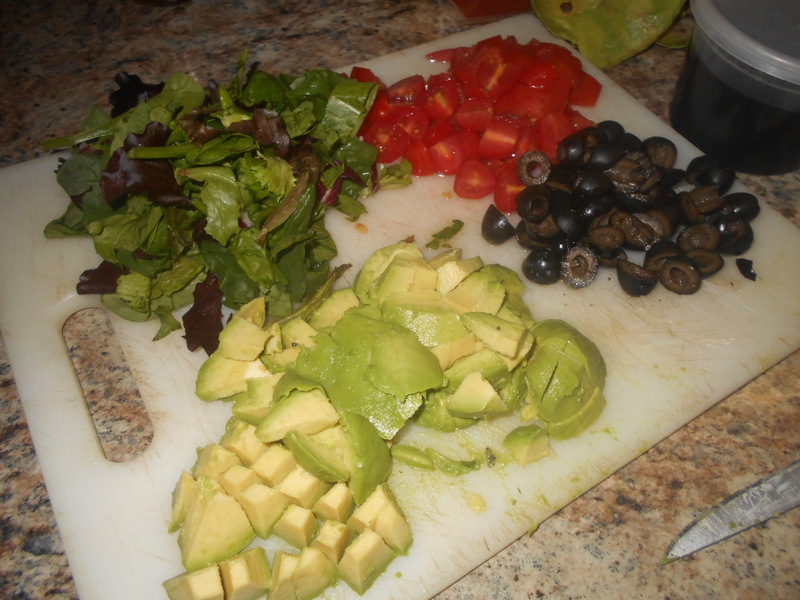 Olives, tomatoes, greens, avocado, guacamole. Soy crumbles sub for meat. Don’t let vegan-ism offend you. Just strive to learn more about it if you haven’t already given it some thought. "And no one is a stranger...for long." 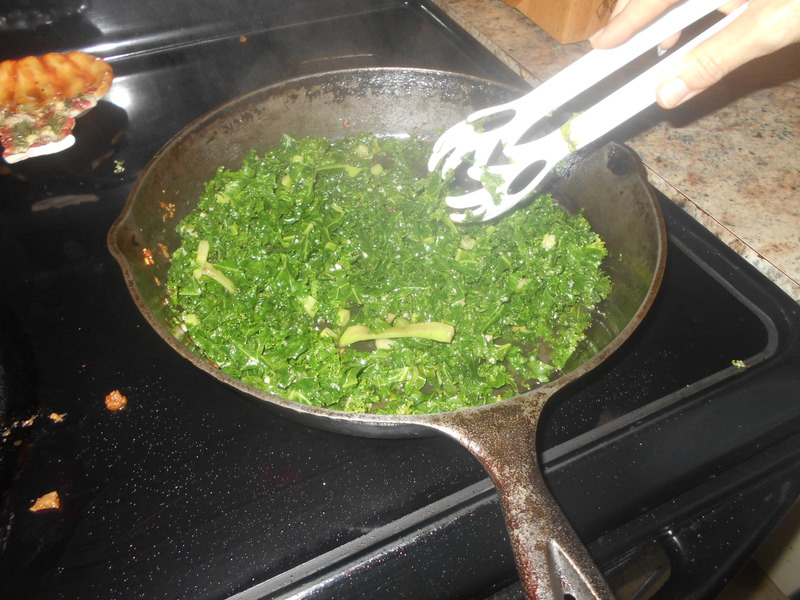 This entry was posted in Going Vegan and tagged eating healthy, healthy dinners, vegan, vegan meals, vegetarian. Bookmark the permalink. Sorry, not for me. But then I’m closing in on 69 and am not about to change my ways.